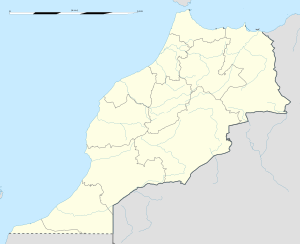 Formerly known as "Ksar Es Souk" (Berber languages: ⵉⵖⵔⴻⵎ ⵏ ⵓⵍⵣⵓⵣ, Ighrem n Ulzuz), the city was renamed Errachidia around 1975 in honor of the second son of Hassan II, Moulay Rachid. The city was part of the route of the 2006 and 2007 Dakar Rally. https://www.youtube.com/watch?v=s19rmyb0Nr0&feature=youtu.beErrachidia has a hot desert climate (Köppen climate classification BWh). This Drâa-Tafilalet location article is a stub. You can help Wikipedia by expanding it. This page was last edited on 13 April 2019, at 14:42 (UTC).